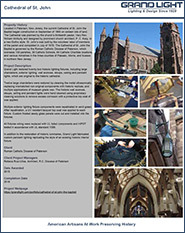 Located in Paterson, New Jersey, the current Cathedral of St. John the Baptist began construction in September of 1865 on sixteen lots of land. 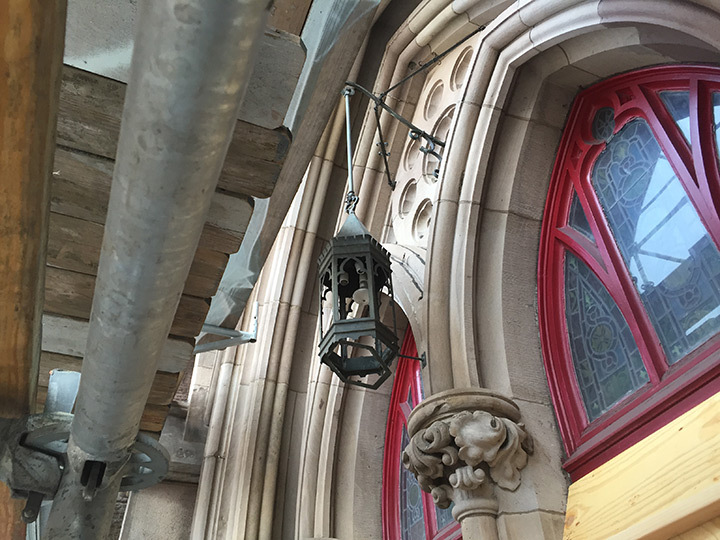 The Cathedral was planned by the church’s thirteenth pastor, Very Rev. 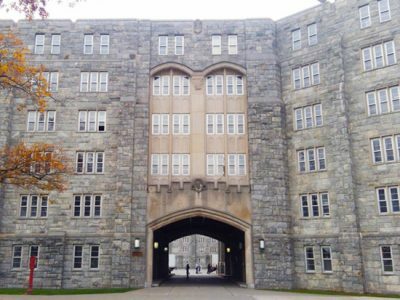 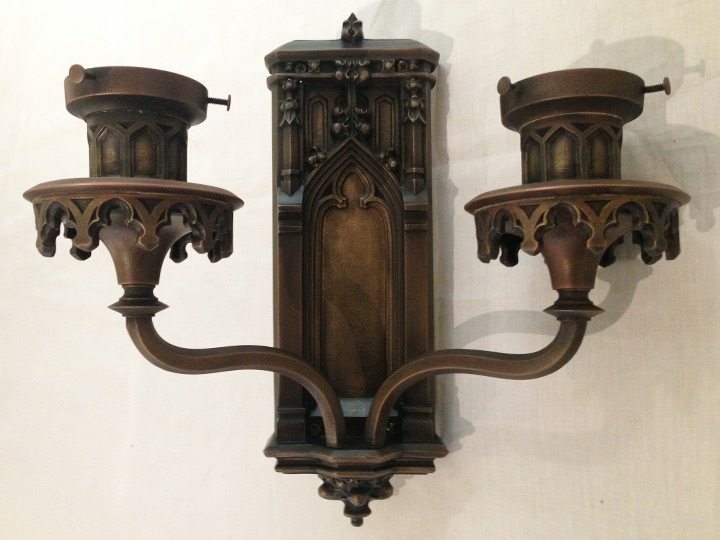 William McNulty and designed by prominent church architect, P. C. Kiely, in a neo-Gothic style. 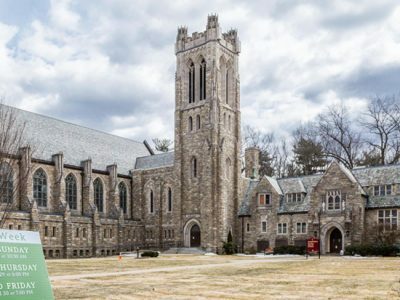 St. John’s was built by the volunteer labor of members of the parish and completed in July of 1870. 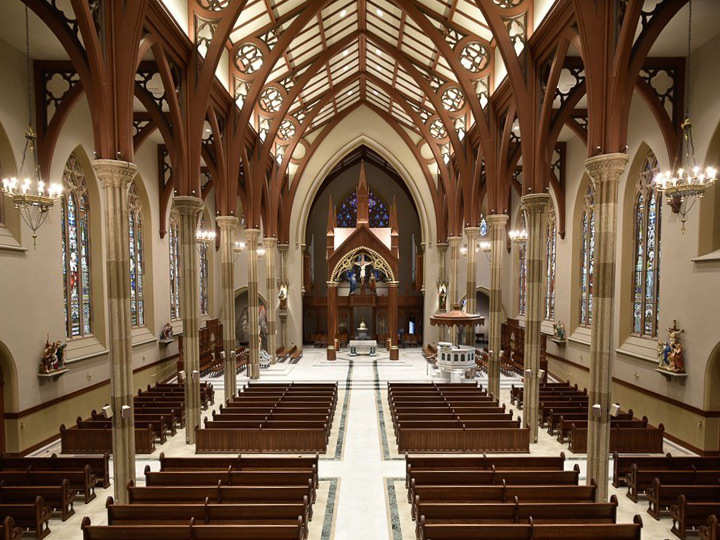 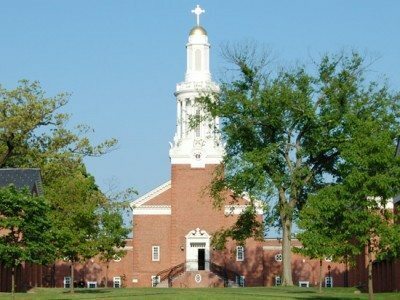 The Cathedral of St. John the Baptist is governed by the Roman Catholic Diocese of Paterson, which oversees 109 parishes, 39 Catholic Schools, 64 Catholic Charities locations, and various ministries in the three counties of Passaic, Morris, and Sussex in northern New Jersey. 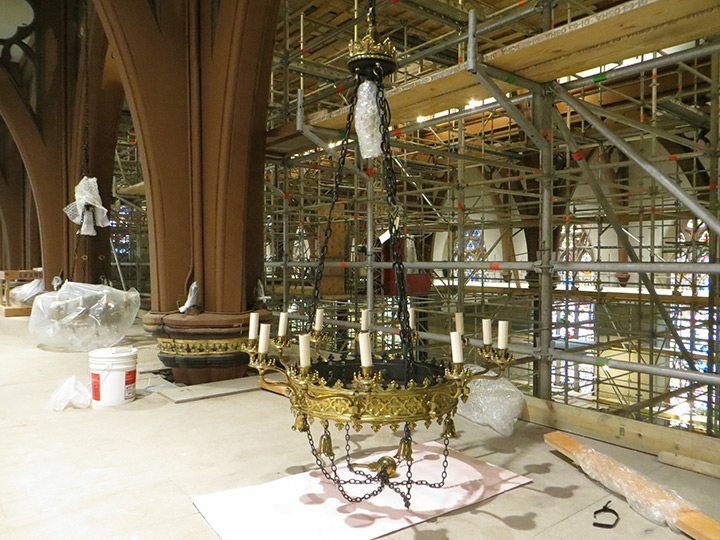 Grand Light restored twenty-two historic lighting fixtures, including large chandeliers, exterior lighting, wall sconces, stoups, ceiling and pendant lights, which are original to the historic cathedral. 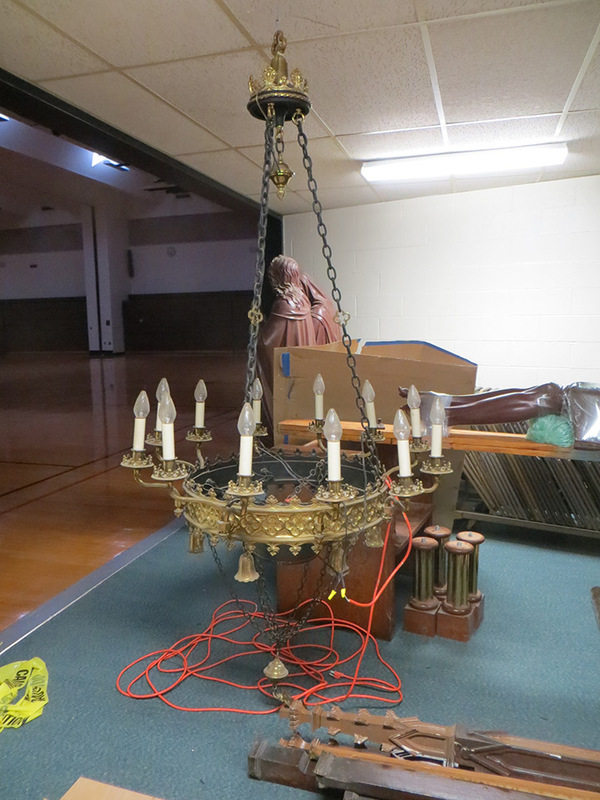 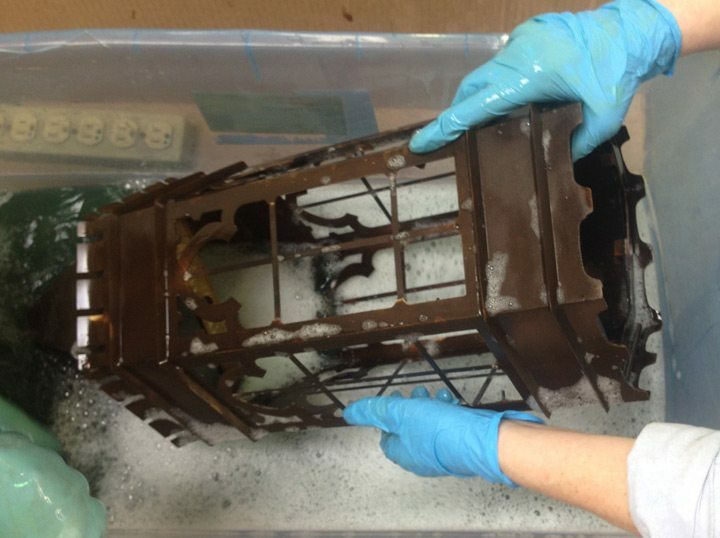 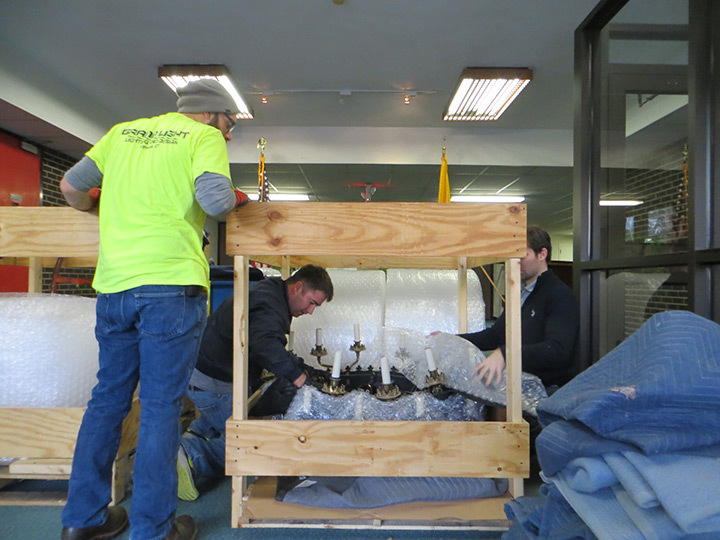 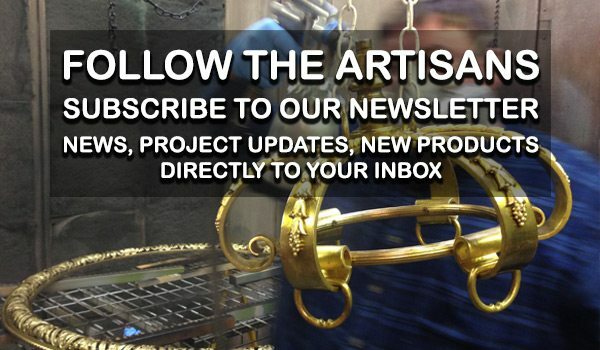 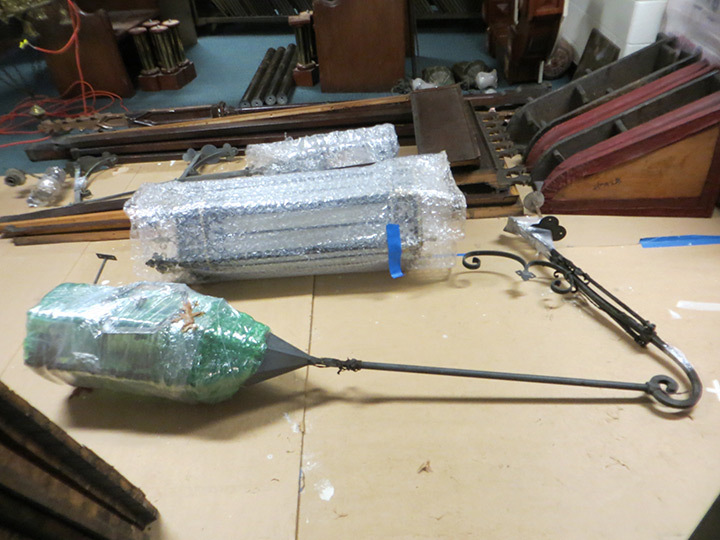 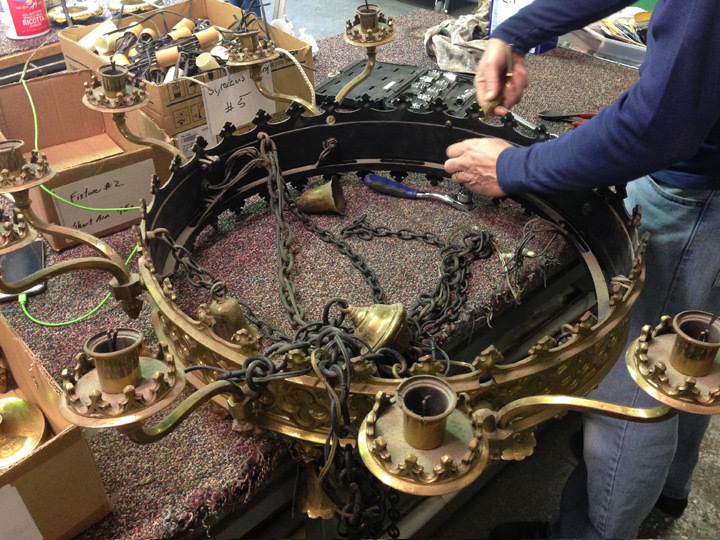 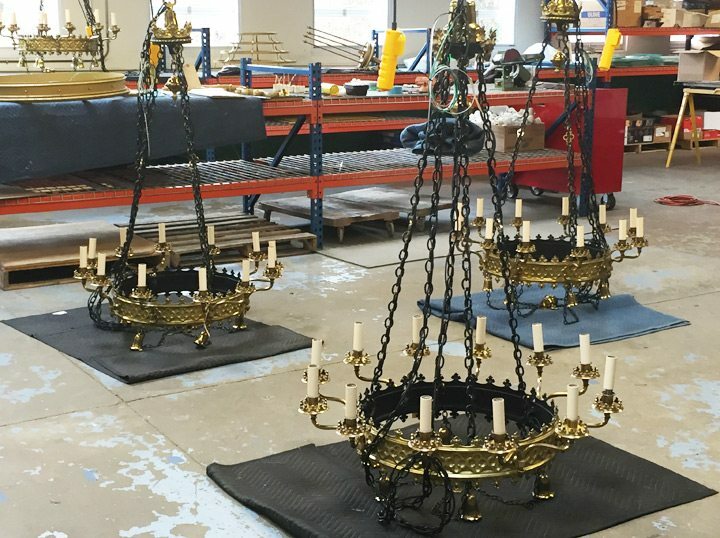 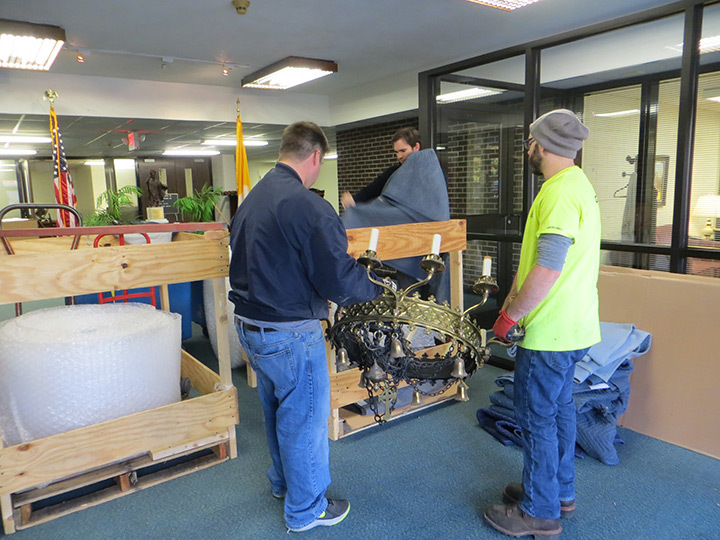 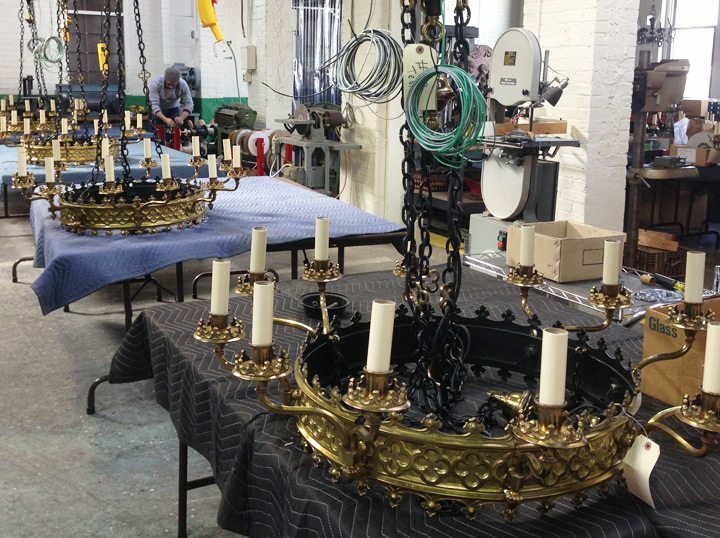 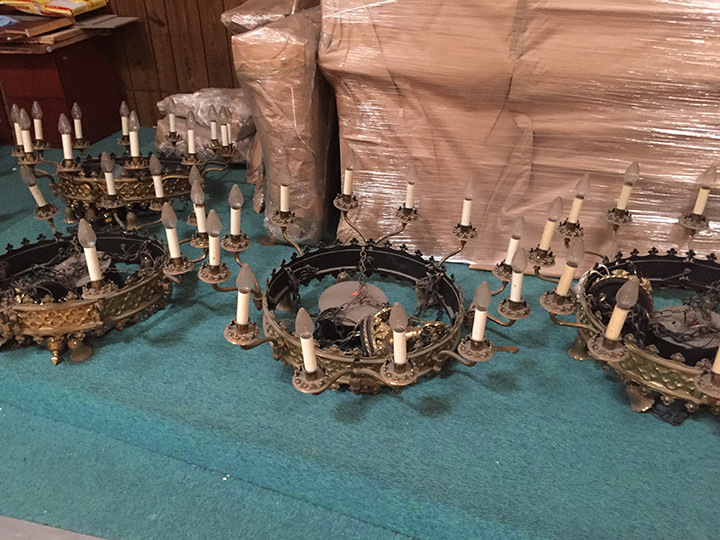 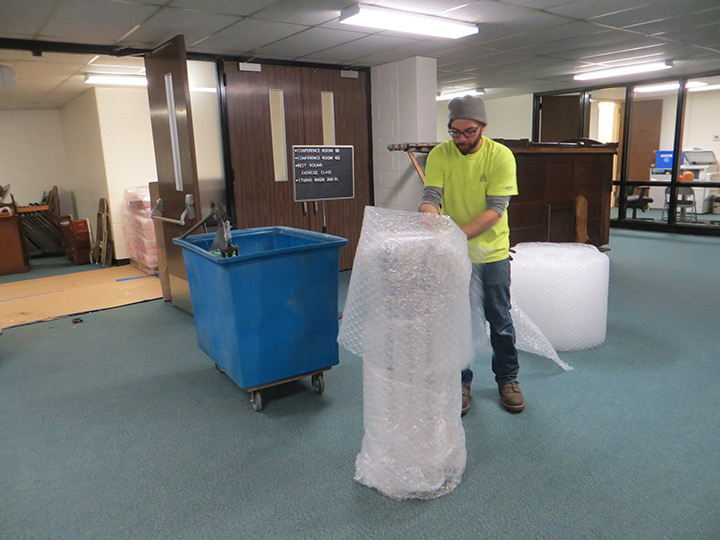 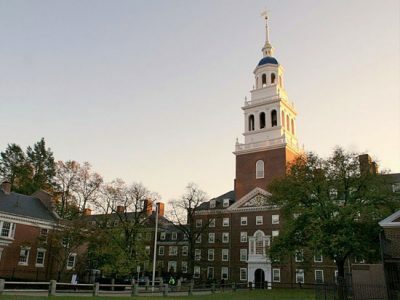 Twelve large chandeliers were restored by cleaning ultrasonically, replacing mismatched non-original components to maintain historical accuracy, and received multiple applications of museum grade wax. 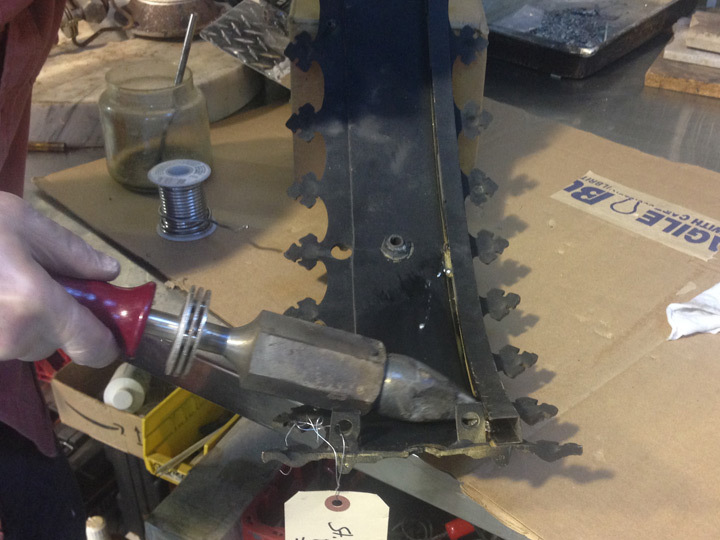 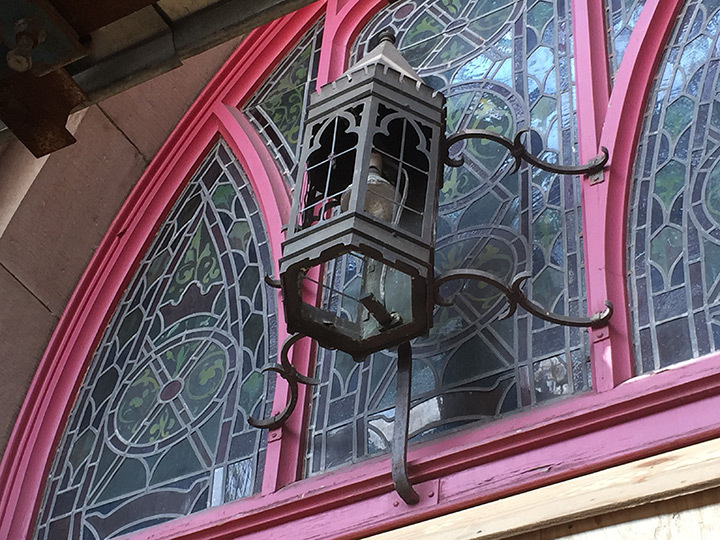 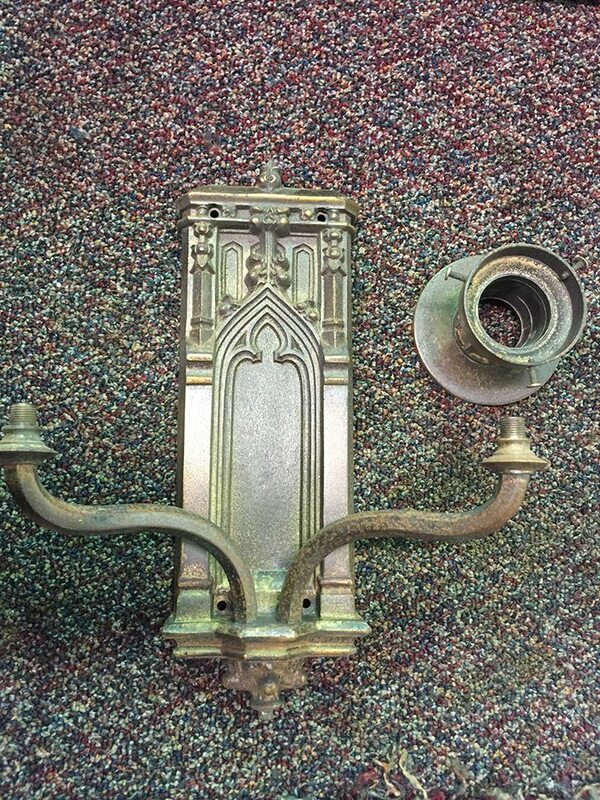 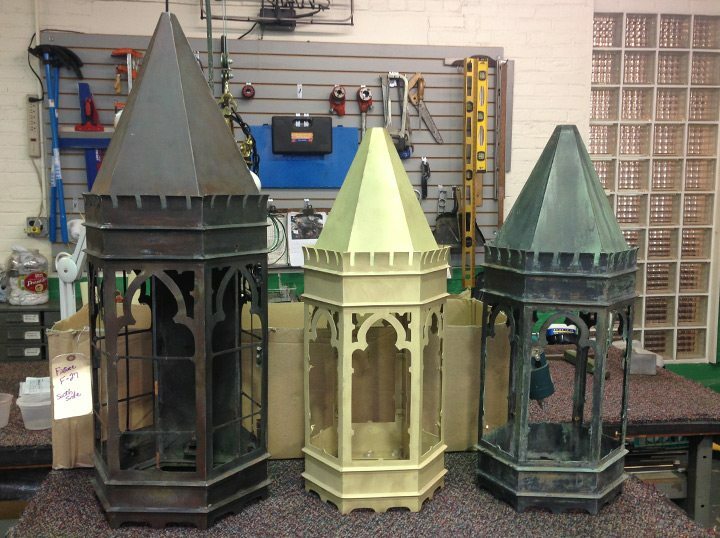 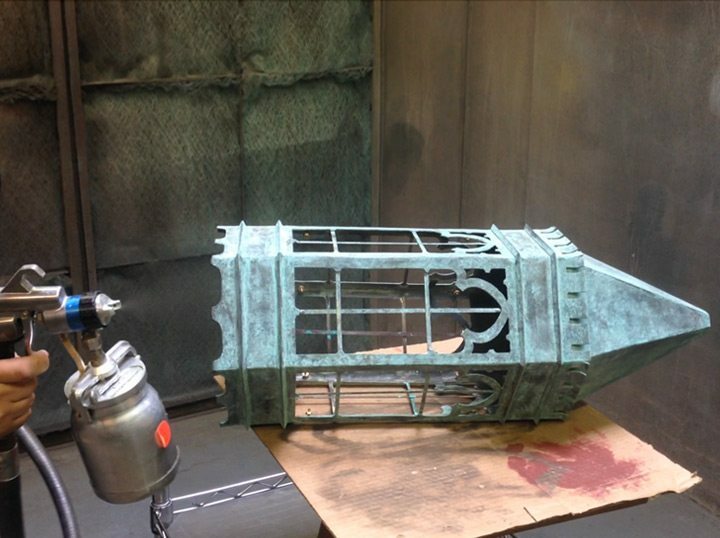 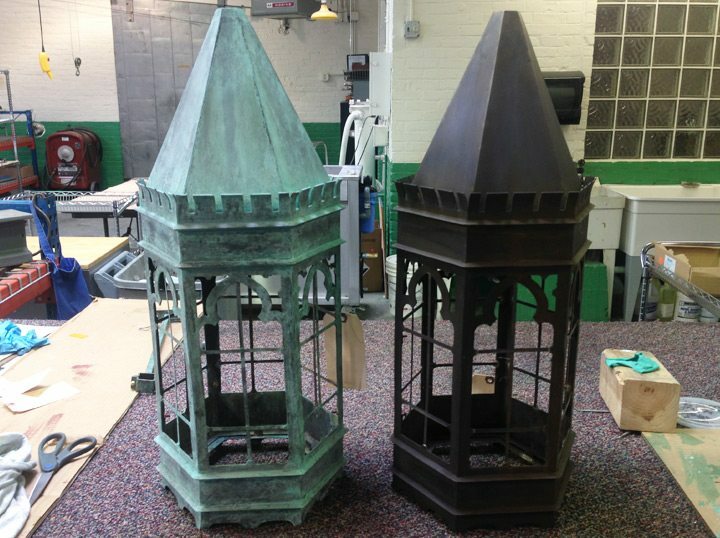 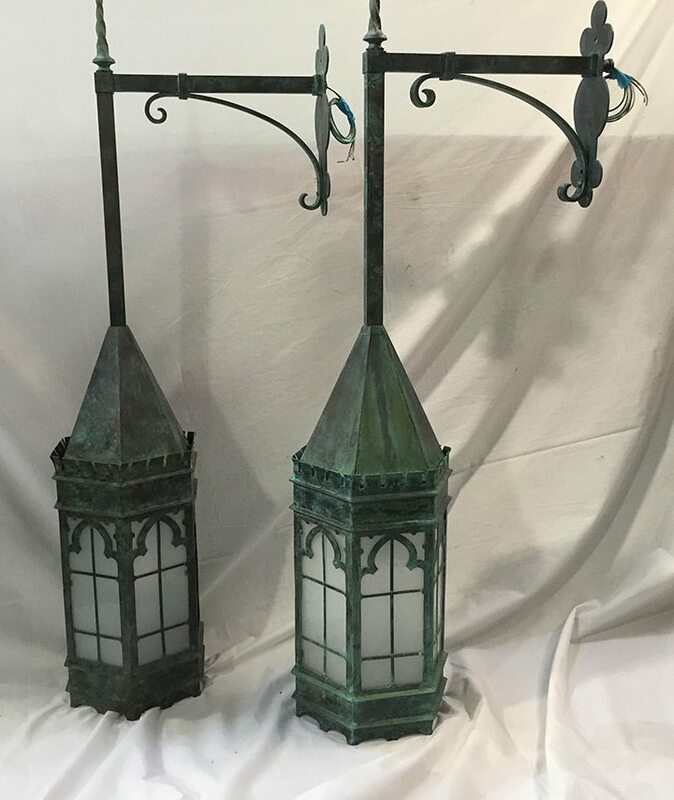 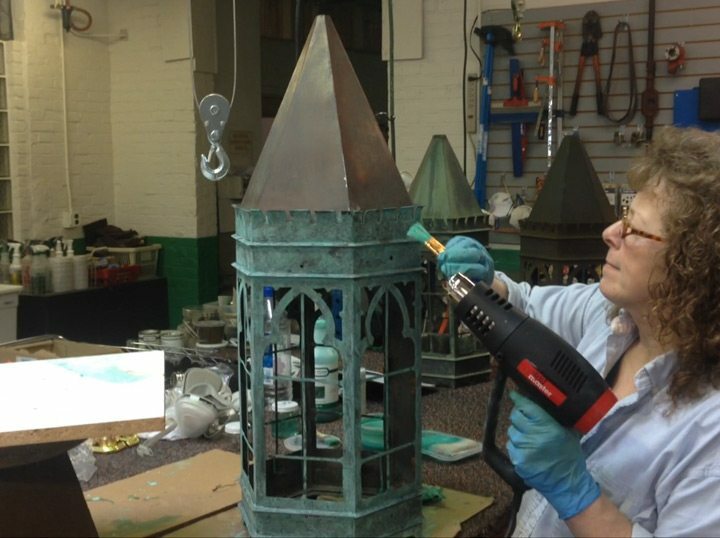 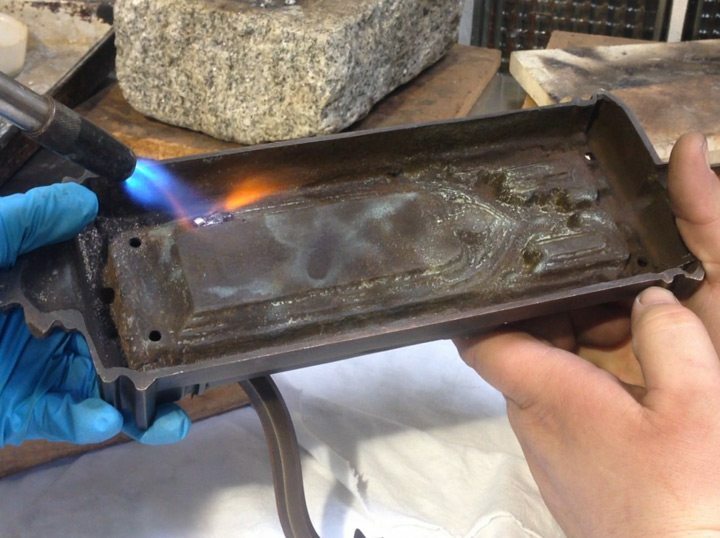 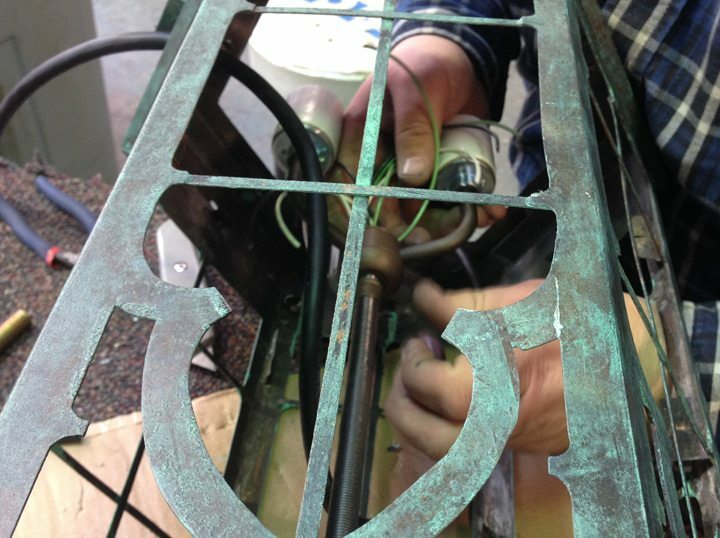 Multiple exterior lighting fixture components were repatinated to achieve a consistent and blended finish. 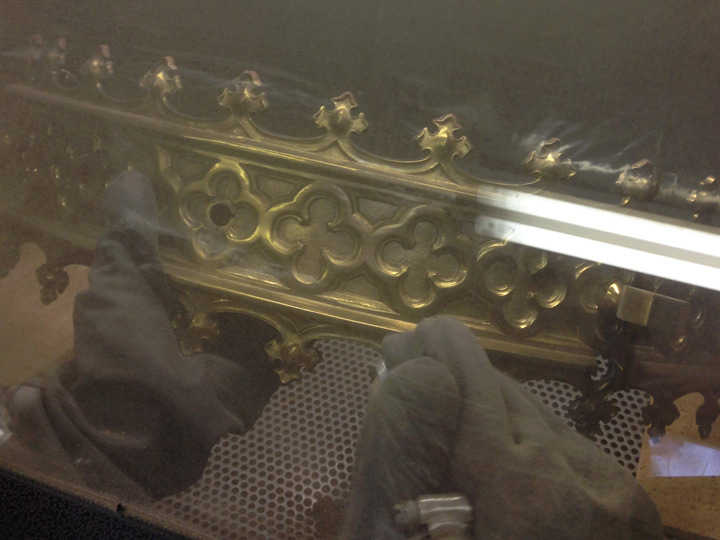 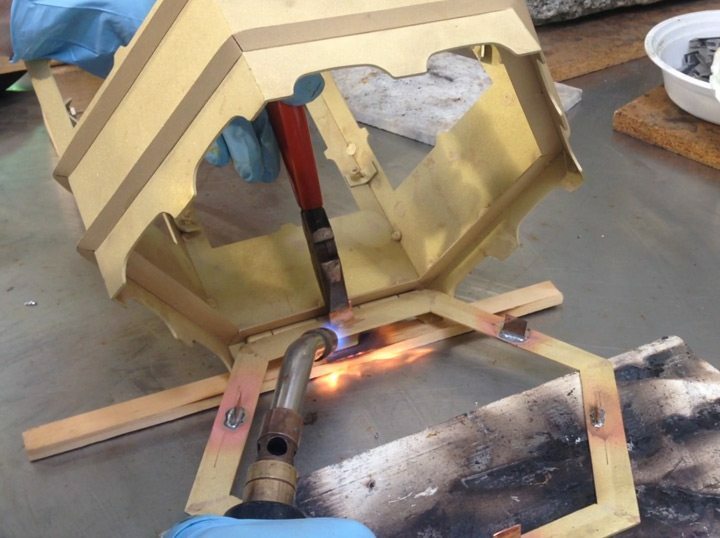 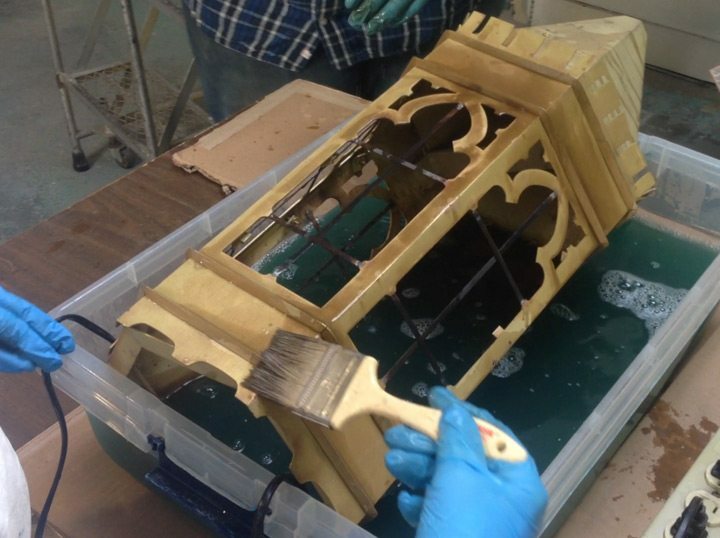 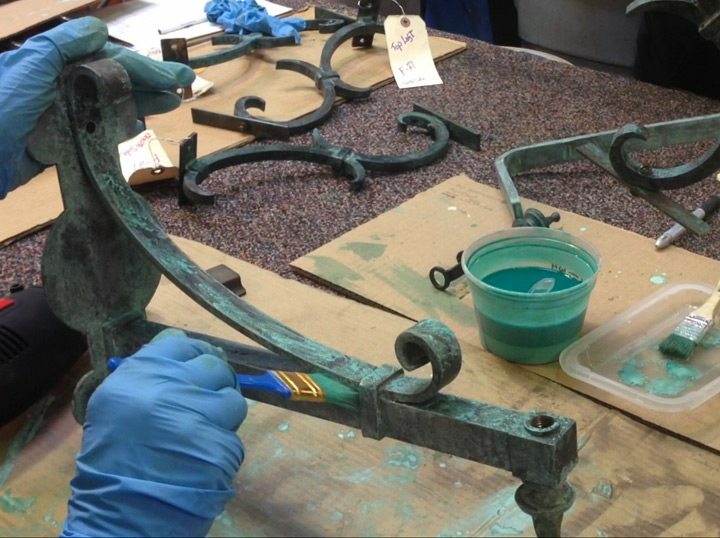 After repatination, a UV resistant lacquer top coat were applied to each exterior fixture. 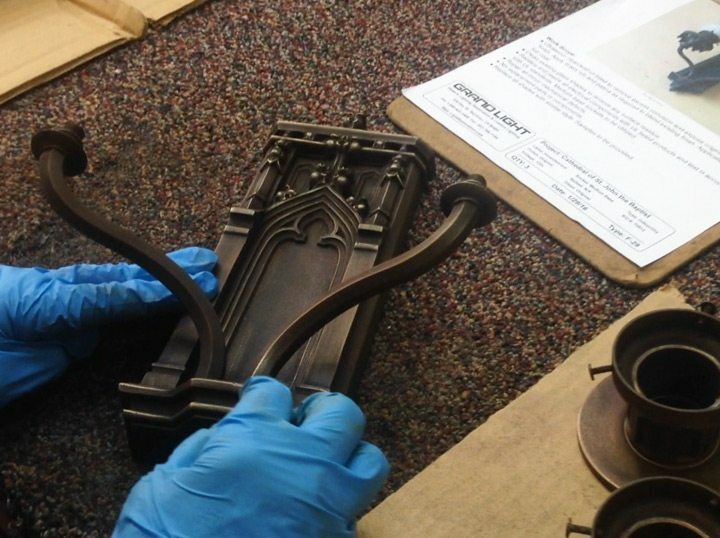 Custom frosted seedy glass panels were cut to match missing or damaged original glass panels. 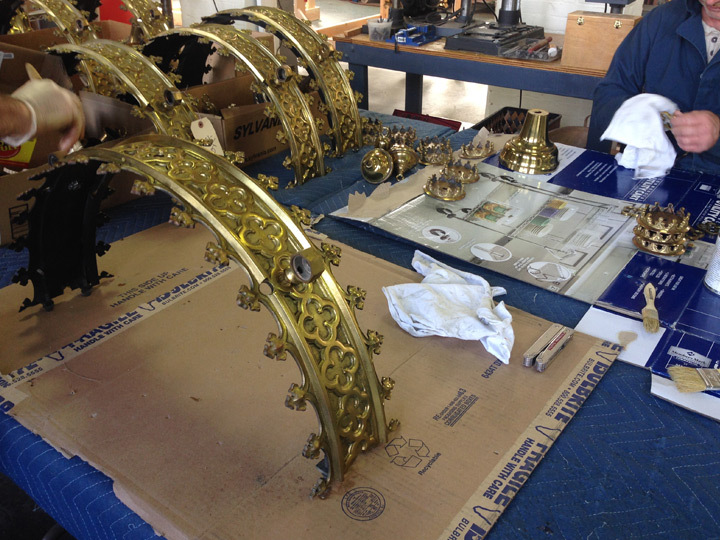 The historic wall sconces, stoups, ceiling and pendant lights were cleaned to remove excess corrosion and a protective top coat was applied. 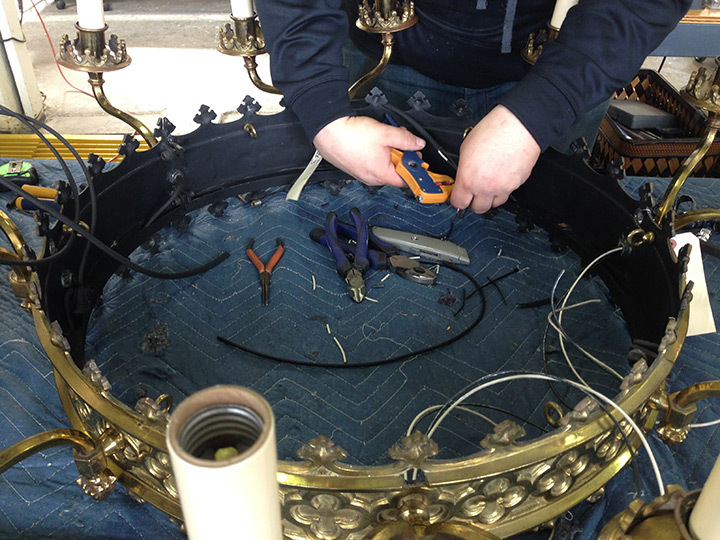 All fixtures wiring were replaced with UL listed components and HIPOT tested in accordance with UL standard 1598. 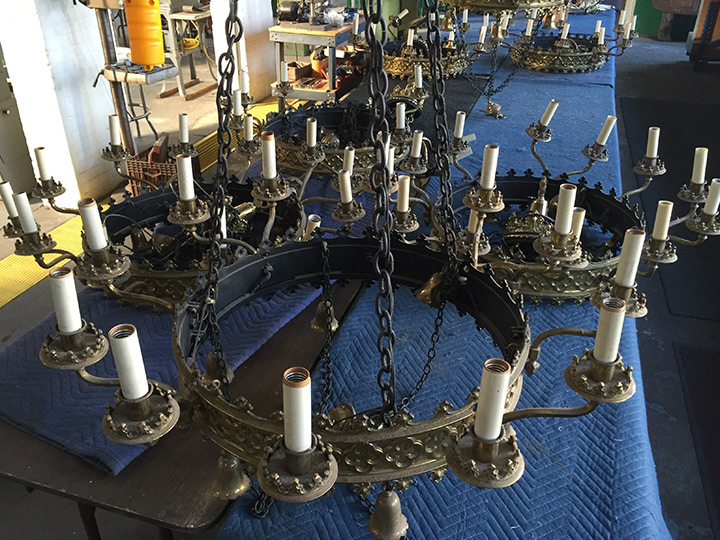 In addition to the restoration of historic luminaires, Grand Light fabricated custom pendant lighting replicating the style of an existing historic interior fixture.